Evelyn loves the bath. We didn’t follow the ‘guidelines’ of waiting until she was a week or two old, my theory is get them used to it from the beginning. (After a few days.) There is nothing worse than a little one that hates to bath. Both my girls love the water and this is the only real routine we stick too. (I am 100% anti Gina Ford,) A relaxing warm bubble bath is shortly followed by bed. 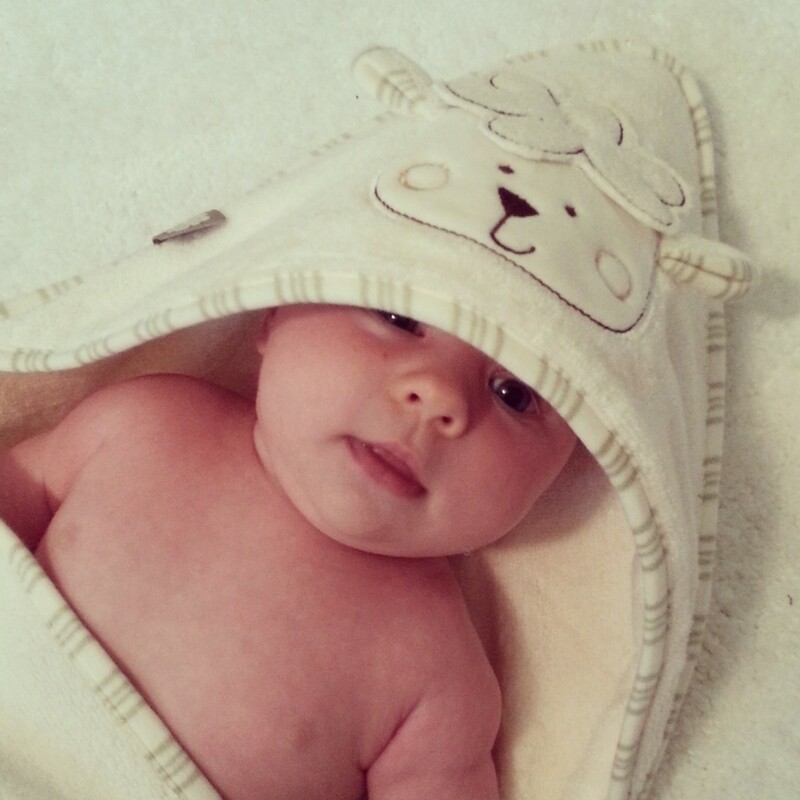 With babies in mind a hooded bath towel is a must-have. It just makes life easier. 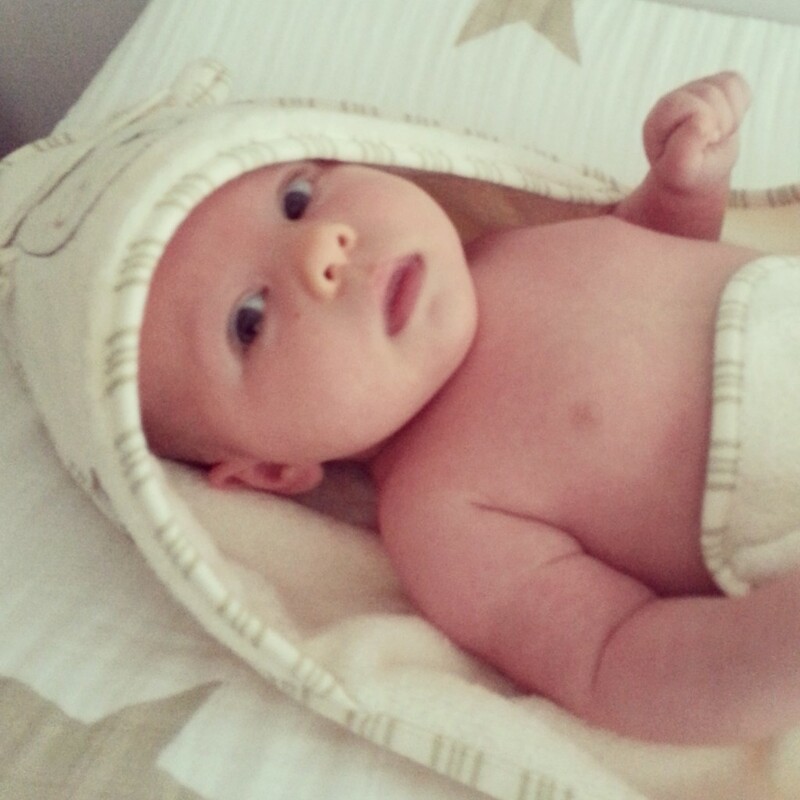 Newborns feel the cold and after a warm bubbly bath they like to snuggle. The Natures Purest robes are a favourite in our household. Organic, natural and uber- luxurious. Only the best for delicate new skin. Followed by a Natures Purest sleepsuit, the are the perfect bedtime outfit.